Deck the halls with boughs of holly, Fa la la la la… la la la la! And yes, I did just literally count out all of those la’s to make sure I got the right number. 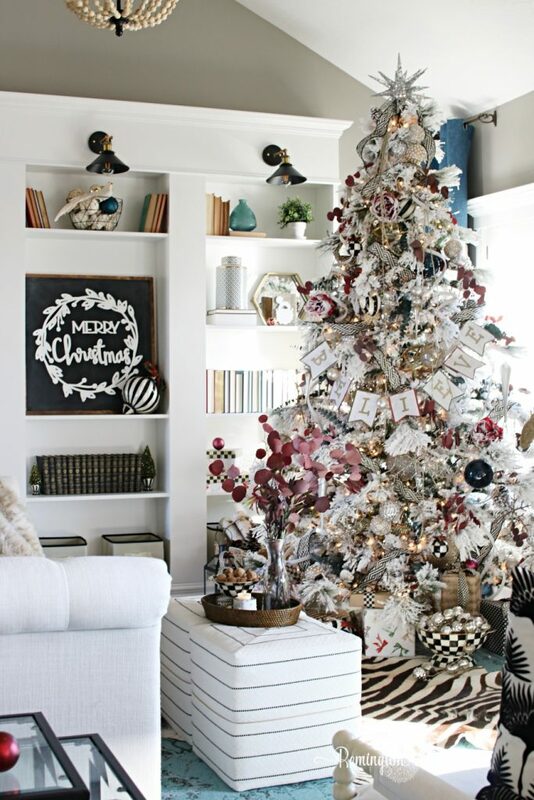 I just love to deck those halls this time of year! 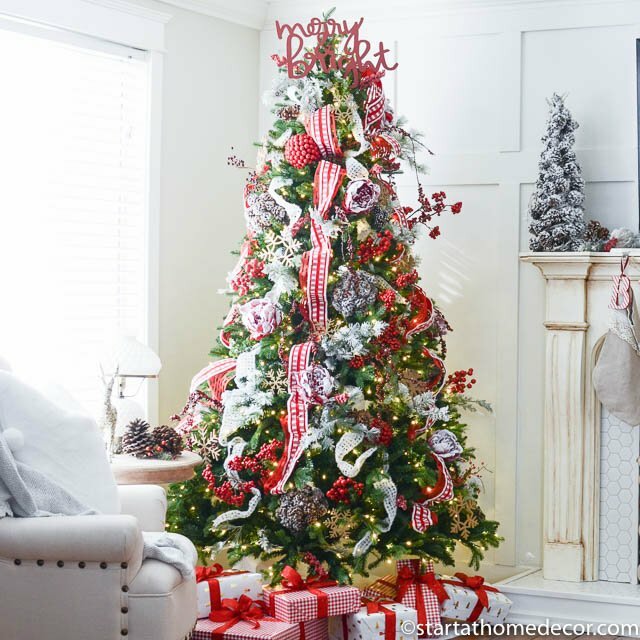 What better way to spread Christmas cheer to others than by spicing up your home with some beautiful Christmas decor. I mean… by singing loud for all to hear! Ha! If anyone can name that movie then you are well on your way to spreading some Christmas cheer. I’ve got a plethora of new Christmas signs this year that I want to share with you. 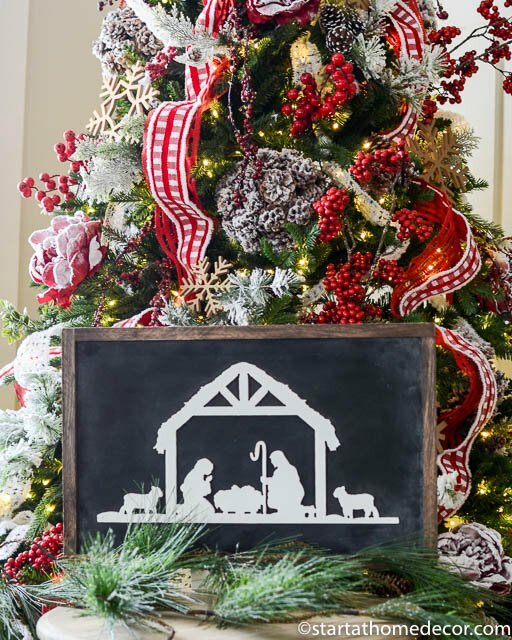 Nativity Sign – This sign is gorgeous and comes either as an unfinished cutout or you can get it in this chalkboard style. The unfinished nativity is only $15 and you can pick up some milk paint in the shop the finish it your preferred color. Merry Christmas in Buffalo check– These are some of my favorites this year! Since buffalo check is really popular this year I decided to incorporate it into my signs. This one comes framed with with your choice of Merry Christmas or Joy in red or gold lettering. It’s super fun and festive. 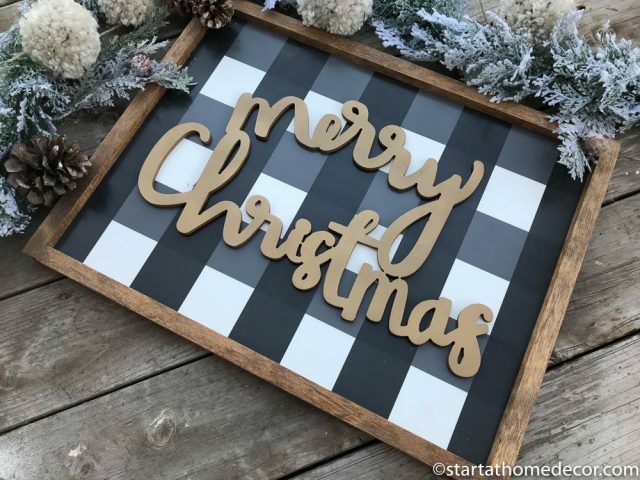 Merry Christmas Chalkboard sign – This is another fun chalkboard option, or you can purchase the words and wreath separate to make your own. You can view Mysha’s full home tour here. Noel Gift Packs – These small noel cutouts come in unfinished bundles of 5 and are super fun to attach to gifts or hang in your Christmas tree. 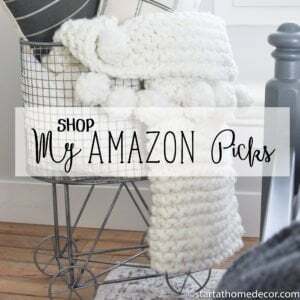 I love using mine to decorate packages or even add to neighbor Christmas gifts. They are just $7 for a bundle of 5. 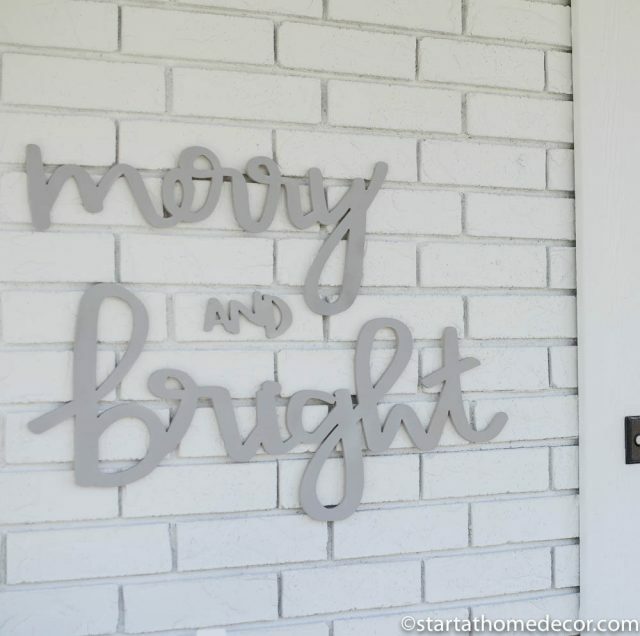 Merry & Bright cutout – This year I opted for a connected word as my tree topper and I LOVE how it turned out! It comes unfinished or painted. 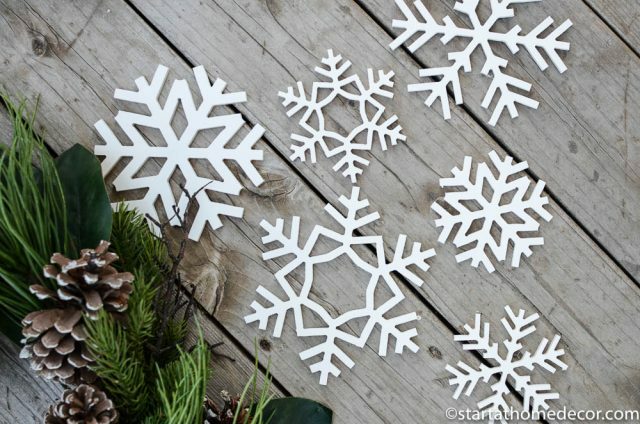 Snowflakes – Our snowflakes come in bundles of 3 and we have different sizes available. These are great to add to wreaths or use as ornaments on your Christmas tree. 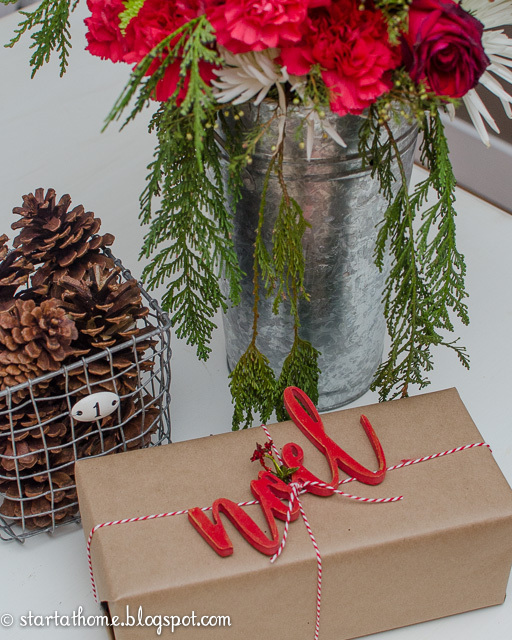 They could also be a fun option for sprucing up your gift toppers instead of a bow. These come unfinished or painted. 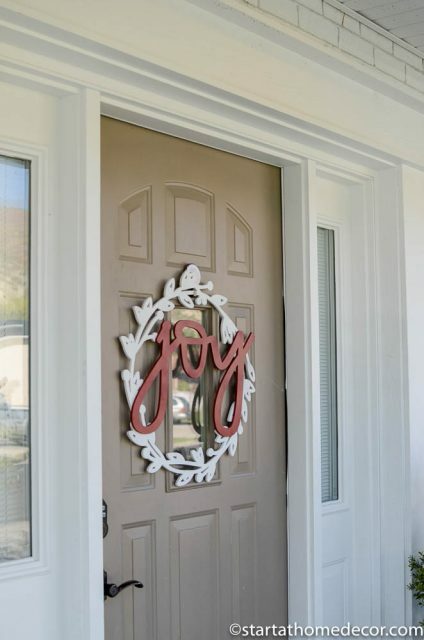 Joy Door Hanger Wreath – This joy wreath can come unfinished or finished. 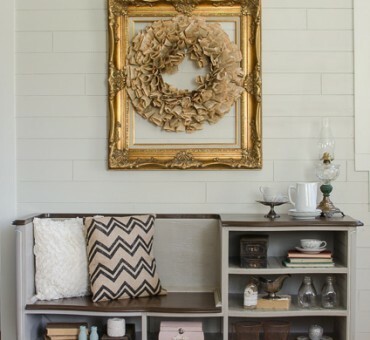 I love it in place of a traditional greenery wreath. Sometimes it is nice to change it up a bit! 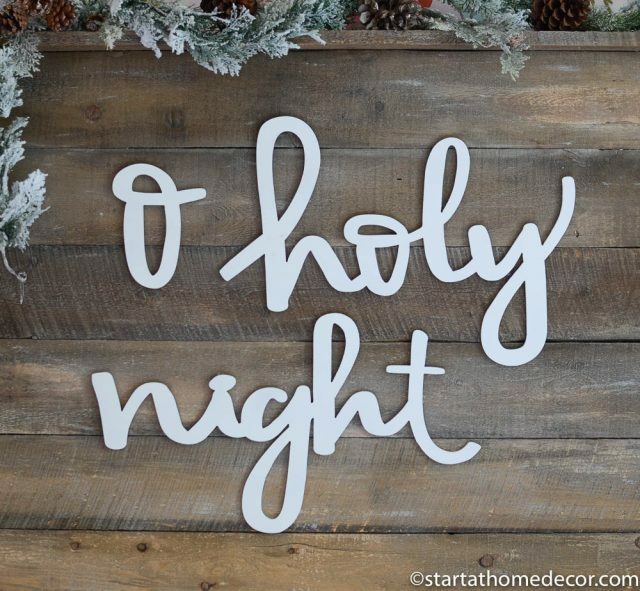 O holy night – I absolutely love this phrase and song. It is so simple yet so beautiful! Yes, overplayed, but I love it anyway! 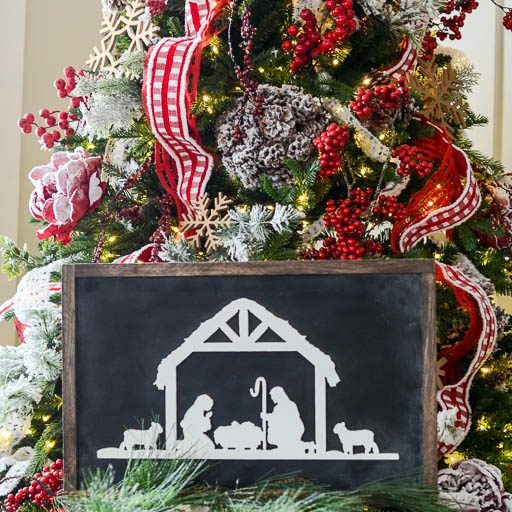 Merry Christmas cutout – This classy phrase can be placed anywhere in your home and look amazing. Put it in your entryway, hang it above your fireplace, prop it up in your kitchen. The options are endless and stunning! Merry and bright – I feel like this is a phrase you hear a lot, but maybe don’t see a lot and I really wanted to give it a bit more attention. 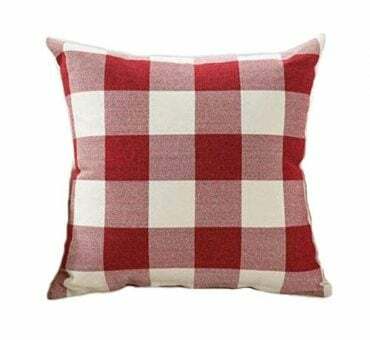 This one is also available in a couple sizes and a variety of colors. And did you see that it is on the exterior of my brick? Don’t forget that you can decorate your outside as well as your interior! 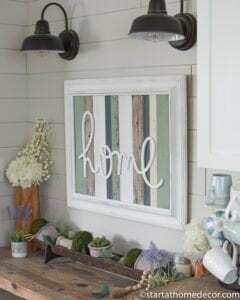 This is something I love to do and it adds so much to your home! 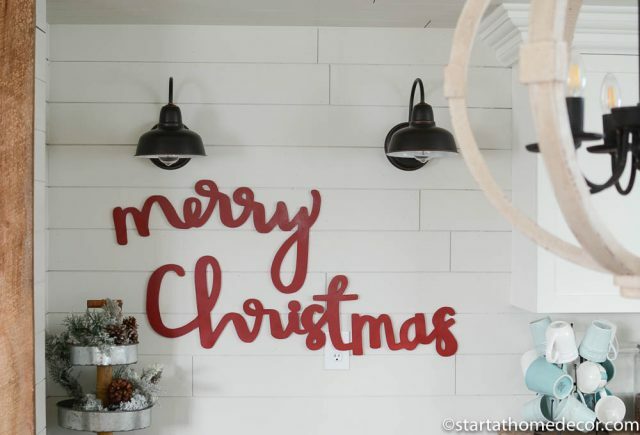 I just love all of these Christmas signs and I hope they bring a little something extra to your holidays this year. 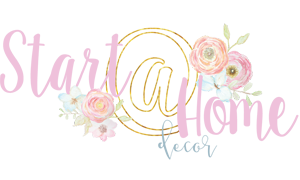 Happy holidays from Start at Home to you and your home!! My Etsy Shop is LIVE!! Hello Sunshine T-Shirts are HERE!! !